Standing as the tallest capital building in the states, the Texas Capitol building is an excellent example of late 19th century Renaissance Revival architecture. Finished in 1888, it took 7 years to complete. The Goddess of Liberty stood nearly 16' tall, weighed approximately 2,000 lbs, and held a gilded star above her head. She was cast in 80 separate zinc pieces, welded together, and coated with multiple applications of white paint containing sand to simulate a stone appearance. She was then hoisted up into position and securely fastened to cap the top of dome. The original Goddess of liberty was removed in 1986 and is currently displayed inside the Capitol. It was replaced by a lighter cast aluminum sculpture which now sits atop the dome. The Texas State Preservation Board contracted B.R. 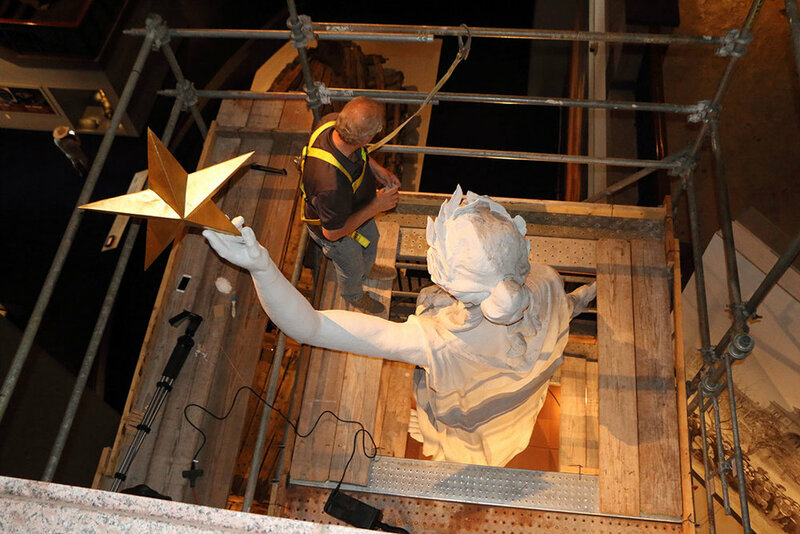 Howard & Associates Inc. to provide a condition examination report of the Goddess of Liberty on top of the capitol and a conservation treatment of the goddess that is displayed inside the Bob Bullock Texas State History Museum. 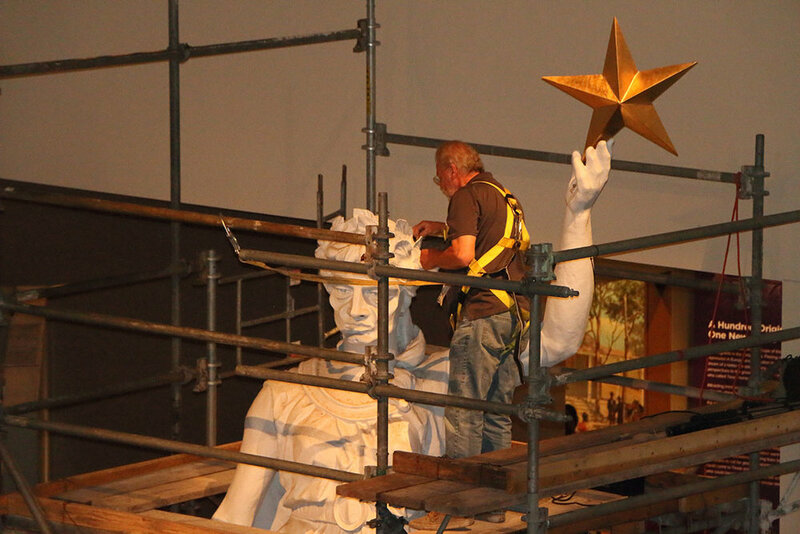 Due to years of harsh Texas weather, the gilding on the star had deteriorated badly and needed to be re-gilded. Biological growth had formed over the aluminum surface and needed to be removed. The Goddess of Liberty at the museum had years of accumulated dirt and dust along with actively flaking paint on the surface. Scaffolding was erected and surface cleaning was performed along with paint consolidation.